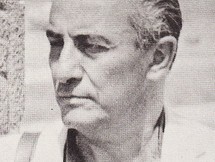 Olivier-Clement Cacoub was a French architect of Tunisian Jewish origin. He began a distinguished career in Tunisia as consulting architect of the Republic of Tunisia and developed then several buildings in France (Paris, Orléans, Nice, Cannes, Grenoble), Russia, Tahiti and especially Africa. He.. The PanAm Building was designed by Walter Gropius in collaboration with Pietro Belluschi and Emery Roth & Sons. 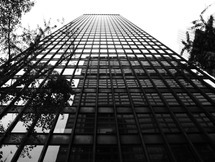 The New York skyscraper officially opened in 1963. 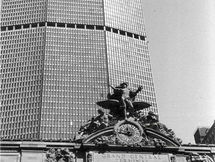 Since 1992 the building has been known as the MetLife building. 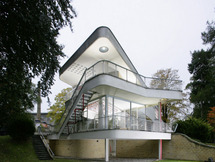 The tower was commissioned to be the headquarters..
Hans Scharoun designed a house in 1930 for Fritz Schminke who was the owner of a noodles' factory in Loebau, Saxony, Germany and who wished for "... a modern house for two parents, four children and one or two occasional guests... ". The realization was both fancy and..
Cairo Flats are a two-storey residential housing complex in Fitzroy, Melbourne, designed by Acheson Best Overend and completed in 1936. 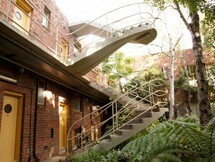 The international-style complex features 28 'Bachelor Flats' comprising single room dwellings with a communal dining hall, in-house food and laundry services and..
Acheson Best Overend was an Australian architect and is considered to be one of the first architects to have truly been committed to modernism. 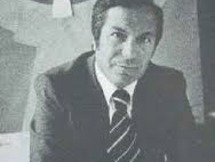 Mario Pani was a famous Mexican architect and urbanist. 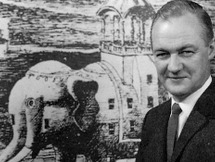 He was one of the most active urbanists under the Mexican Miracle, and gave form to a good part of the urban appearance of Mexico City, with emblematic buildings, such as the main campus of the UNAM, the Unidad Habitacional..
Robin Boyd is considered one of the most influential Australian architects alongside Harry Seidler. Boyd was one of biggest proponents of the International Style in Australia and an advocate for public awareness on the benefit of good design. 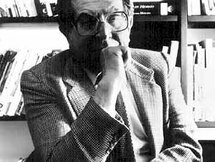 Boyd's most renowned publication is the 1960 book..
Jean Badovici was a Romanian architect and architecture critic active in Paris. He studied architecture in Paris after World War I. Since 1923 he edited the important French magazine for avantgarde architecture L'Architecture Vivante. Furthermore, he designed two buildings (residential houses for..
Abraham Zabludovsky was a Mexican architect. 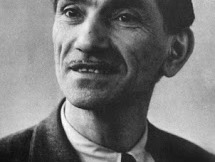 He was born in Białystok, Poland. 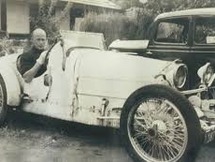 He studied at the Universidad Nacional Autónoma de México, graduating in 1949. In his early years he produced a large number of outstanding residential buildings and offices in Mexico City, making rigorous use of the.. 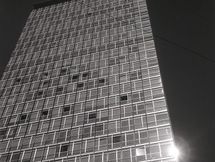 The Galfa Tower is a skyscraper in Milan by Melchiorre Bega. The skyscraper is due to architecture as International Style and an integral part of the planned "Management Centre" of the Italian financial capital, designed in the fifties and never fully realized. The building has a rectangular.. 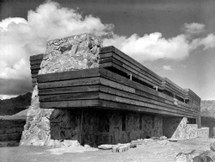 The Pauson House was designed by Frank Lloyd Wright in 1939 and constructed in 1940 in the desert of Arizona, “the most wonderful Earth site” according to words of the architect. Rose Pauson and her sister, Gertrude, only lived there one season. When returning to their native city, San Francisco,.. 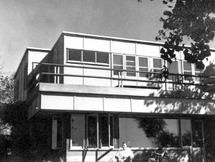 The Faulkner House was the first residence built in Minnesota inspired by the International Style. Three bachelors who were on the faculty at the University of Minnesota commissioned it: Ray Faulkner, Edwin Ziegfeld, and Gerald Hill. All three were interested in modern design, and Faulkner and..